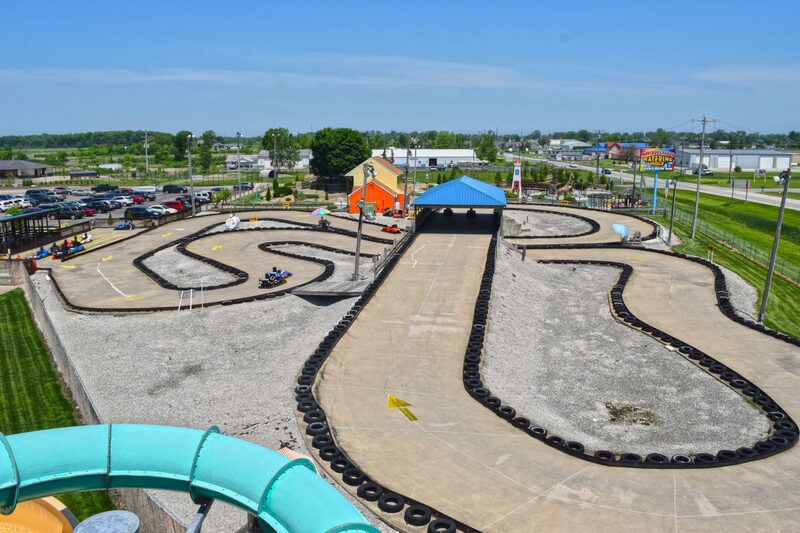 Go-kart drivers will experience the rush of speed, adrenaline, and competition! The track is 1/4 with curves, straightaways and a bridge, with plenty of space to race in! Get ready racers, rev your engines, and put the pedal to the metal! Go-kart drivers will experience the rush of speed,adrenaline, and competition! The longest track in the area, its bi-level track features straight-aways and a bridge. Drivers must be 54” tall to operate on their own. Guests under 54” tall may ride with a licensed driver. Minimum height is 32”. Montego Bay Raceway open May-October weather permitting. Closes periodically for refueling.